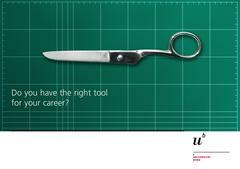 The University of Bern offers a Transferable Skills Program for (Post)Docs. Check out the website regularly for new courses. The University Library Bern offers courses on academic research, writing, publication (BORIS) and reference managment. The University of Bern offers language and scientific writing courses for students and academic staff. Basic language courses are extracurricular and will not count as part of the mandatory 6.0 ECTS to be acquired during the PhD. The Center for Continuing Education ZUW of the University of Bern offers a variety of diploma courses and workshops for academic staff.